Neurological Surgery is a discipline of Medicine and a specialty of surgery which provides the operative and nonoperative management (I.E., prevention, diagnosis, evaluation, treatment, critical care, and rehabilitation) of disorders of the central, peripheral, and autonomic nervous systems, including their supporting structures and vascular supply; the evaluation and treatment of pathological processes which modify the function or activity of the nervous system, including the hypophysis; and the operative and nonoperative management of pain. As such, neurological surgery encompasses treatment of adult and pediatric patients with disorders of the nervous system; disorders of the brain, meninges, and skull, and their blood supply including the extracranial carotid and vertebral arteries; disorders of the pituitary gland; disorders of the spinal cord, meninges, and vertebral column, including those which may require treatment by spinal fusion or instrumentation; and disorders of the cranial and spinal nerves throughout their distribution. 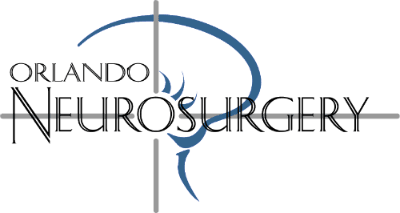 The broad aim of the American Board of Neurological Surgery is to encourage the study, improve the practice, elevate the standards, and advance the science of neurological surgery, and thereby to serve the cause of public health. ACOUSTIC NEURINOMA/NEUROMA - A benign tumor of the hearing nerve (eighth cranial nerve). ACTION TREMOR - Rhythmic, oscillatory movement of a body part that occurs during voluntary movement such as lifting a cup to one's mouth. ADENOMA - A benign growth formed of glandular tissue. ALLOGRAFT- A graft of bone or tissue between individuals of the same species. Allografts are usually obtained from cadaver. ANEURYSM - An abnormal bulging or stretching of a weakened wall of a blood vessel. Cerebral aneurysms are usually of three types: saccular with a narrow "neck" (also known as "berry" aneurysms because of their shape and their occurrence in clusters; saccular with a broad base; and fusiform in which a section of artery bulges all the way around. ANGIOGRAPHY - Radiography of blood vessels using the injection of contrast material to better visualize the vessels. Derived from angio (blood vessels) and gram(record or picture). ANNULUS - The tough outer ring of a spinal disk. ANOXIA - The total lack of oxygen supply. APHASIA - Difficulty with, or loss of use of language, in any of several ways including reading, writing or speaking. Failure of understanding of the written, printed or spoken word not related to intelligence but to specific lesions in the brain. ARACHNOID - The middle layer of membranes covering the brain and spinal cord. ARACHNOIDITIS - Inflammation of the arachnoid membrane, most commonly seen within the spinal cord around the spinal cord and cauda equina. ARTERIOVENOUS - Relating to both arteries and veins. ARTERIOVENOUS MALFORMATION - A collection of blood vessels with one or several abnormal communications between arteries and veins which may cause hemorrhage or seizures. ARTHRODESIS - Surgical fixation or fusion of a joint. ASTROCYTOMA - A tumor within the substance of the brain or spinal cord made up of astrocytes - often classified from Grade I (slow-growing) to Grade III (rapid-growing). ATAXIA - A loss of muscular coordination, abnormal clumsiness. ATROPHY - A wasting of the tissues of a body part. AUTOGRAFT - A graft of bone obtained from the patient for transplantation elsewhere on the patient. BASAL GANGLIA - Specialized groups of cells deep within the brain. BIOPSY - Removal of a small portion of tissue, usually for the purpose of making a diagnosis. BONE GRAFT - Small piece(s) of extra bone which acts as the "cement" for fusing vertebrae together. BRACHIAL PLEXUS - A network of nerves in the neck, passing under the collarbone and into the the armpit. These nerves originate from the 5th, 6th, 7th and 8th cervical and the first 2 thoracic spinal nerves. BRADYKINESIA - Slowness of movement. BROWN-SEQUARD'S SYNDROME - The loss of sensation of touch, position sense, and movement on the side of a spinal cord lesion, with loss of pain sensation on the other side. Caused by a lesion limited to one side of spinal cord. CARCINOMA - Cancer, a malignant growth of epithelial or gland cells. CAROTID ARTERY - The large artery on either side of the neck which supplies most of the cerebral hemisphere. CARPEL TUNNEL - The narrow space formed by bones and a ligament in the center of the wrist through which the median nerve and tendons enter the palm of the hand. CARPEL TUNNEL SYNDROME - The compression of the median nerve within the carpal tunnel resulting in numbness, tingling, "pins and needles," and pain in the hand and fingers. CAUDA EQUINA - The bundle of long spinal nerve roots arising from the end of the spinal cord and filling the lower part of the spinal canal(from approximately the thoraco-lumbar junction down). These long nerves resemble a horse's tail (cauda equina). CEREBELLUM - The lower part of the brain which is beneath the posterior portion of the cerebrum and regulates unconscious coordination of movement. CEREBROSPINAL FLUID(CSF) - A clear, water-like fluid which circulates around the brain and spinal cord. CEREBRUM - The principal portion of the brain, which occupies the major portion of the interior of the skull and controls conscious movement, sensation and thought. Separated into right and left hemispheres. CERVICAL SPINE - Upper spine, neck. Made up of seven vertebrae. CHIARI MALFORMATION - The downward (caudal) displacement of part of the cerebellum or brainstem below the foramen magnum. May also have hydrocephalus, cord symptoms. COCCYX - The small bone at the end of the spinal column, formed by the fusion of four rudimentary vertebrae. The "tail bone". COMA - A state of profound unconsciousness from which one cannot be roused. COMPUTERIZED TOMOGRAPHY (CT) SCAN- A diagnostic imaging technique that rapidly x-rays the body in cross-sections, or slices. A computer pieces together the x-rays to create a three-dimensional map of soft tissue or bone. CONCUSSION - A disruption, usually temporary, of neurological function resulting from a blow or violent shaking. CONTRAST MEDIUM - Any material (usually opaque to x-rays) employed to delineate or define a structure during a radiologic procedure. CORONAL SUTURE - The line of junction of the frontal bones and the parietal bones of the skull. CORPECTOMY - Removal of the body of a vertebra. The body is the solid bony mass, almost circular in appearance, that forms the front part of each vertebra. CORPUS CALLOSUM - The fibrous band connecting the hemispheres of the brain. CORTEX - The external layer of gray matter covering the hemispheres of the cerebrum and cerebellum. CRANIECTOMY - Surgical removal of a portion of the skull. CRANIOPHARYNGIOMA - A congenital tumor arising from the embryonic duct between the brain and pharynx. CRANIOPLASTY - The operative repair of a defect of the skull. CRANIOSYNOSTOSIS - Premature closure of cranial sutures, limiting or distorting the growth of the skull. CRANIOTOMY - Surgical opening of the skull, usually by creating a flap of bone. DIPLOPIA - Double vision, due usually to weakness or paralysis of one or more of the extra-ocular muscles. DISC - The intervertebral disc - cartilaginous cushion found between the vertebrae of the spinal column. It may bulge beyond the vertebral body and compress the nearby nerve root, causing pain. The terms "slipped disc", "ruptured disc" and "herniated disc" are often used interchangeably even though there are subtle differences. DISC DEGENERATION - flattening or "wear and tear" of the disc. DOPAMINE - A chemical substance within the brain that helps in the transmission of messages between brain cells (neurons) involved in the control of movement; one of several neurotransmitters. DURA MATER - A tough fibrous membrane which covers the brain and spinal cord but is separated from them by a small space. DYSESTHESIA - A condition in which a disagreeable sensation is produced by ordinary touch, temperature or movement. DYSPHASIA - Difficulty in the use of language without mental impairment due to a brain lesion. EDEMA - An excessive accumulation of fluid, generally extracellular. ELECTROENCEPHALOGRAHY (EEG) - The study of the electrical currents set up by brain actions; the record made is called an electroencephalogram. ELECTROMYOGRAPHY (EMG) - A method of recording the electrical currents generated in a muscle during its contraction. ENCEPHALOCELE - The herniation of brain meninges through skull defect. ENDARTERECTOMY - The removal of fatty or cholesterol plaques and calcified deposits from the internal wall of an artery. ENDOSCOPE - A thin, telescope-like instrument. A video camera attached to the endoscope records images a surgeon can view on a monitor. Specially designed surgical tools enable a surgeon to operate through small incision(s). EPENDYMA - The membrane which lines the cerebral ventricles of the brain and central canal of the spinal cord. EPENDYMOMA - A growth in the brain or spinal cord arising from ependymal tissue. EPIDURAL - Immediately outside the dura mater. Same as extradural. ESSENTIAL TREMOR - A syndrome or "movement disorder" that is characterized by action our postural tremors that occur in the hands, head, legs, trunk or voice. May be unilateral and intermittent upon onset but becomes bilateral and asymmetric once established. FACET - A small smooth-surfaced end of a bony projection (articular process) that functions as part of a joint. FACET JOINT - Each of four joints formed above and below and on either side of a vertebra. The lower bony projection of one vertebra meet the upper projections of the vertebra below it, forming facet joints. FACETECTOMY - Surgical removal of one of the facets; excision of a facet joint. FALX (CEREBRI) - An extension of dura between the right and left hemispheres of the brain. FORAMEN - A hole or opening that acts as a passageway for nerves or blood vessels. FORAMINOTOMY - Surgical enlargement of the foramen/foramina. GLIA (Also termed neuroglia) - The major support cells of the brain. These cells are involved in the nutrition and maintenance of the nerve cells. GLIOMA - A tumor formed by glial cells. GLIOBLASTOMA - A rapidly growing tumor composed of primitive glial cells, mainly arising from astrocytes. GLOBUS PALLIDUS - A component of the brain's basal ganglia (specialized cells), which works with the thalamus and other areas of the brain to control movement. GREATER OCCIPITAL NERVE - A branch of the second cervical spinal nerve that innervates the middle portion of the occipital area (at the back of the skull) of the scalp. HEMANGIOMA - An aggregation of multiple, dilated, blood vessels. HEMATOMA - A blood clot. HEMIPLEGIA - Paralysis of one side of the body. HEMORRHAGE - Bleeding due to the escape of blood from a blood vessel. HERNIATED NUCLEUS PULPOSUS (HNP) - The extrusion of the central portion(NUCLEUS) of an intervertebral disc through the outer cartilaginous ring(ANNULUS). The herniated portion can compress the spinal cord or nerves in or exiting the spinal canal. HYDROCEPHALUS - A condition, often congenital, marked by abnormal and excessive accumulation of cerebrospinal fluid in the cerebral ventricles. This dilates the ventricles and increases intracranial pressure. HYDROCEPHALUS, COMMUNICATING - Hydrocephalus where flow of cerebrospinal fluid is not blocked but there is absorption failure. Also known as "normal pressure" hydrocephalus (NPH). HYDROCEPHALUS, OBSTRUCTIVE - Hydrocephalus where flow of CSF is blocked. HYDROMYELIA - Expansion of the spinal cord due to increased size of the central canal of the cord which is filled with CSF. HYPERESTHESIA - Excessive sensibility to touch, pain or other stimuli. HYPERTENSION - High blood pressure. HYPOPHYSECTOMY - Surgical removal of the hypophysis (pituitary gland). HYPOTHALAMUS - A collection of specialized nerve cells at the base of the brain which controls the anterior and posterior pituitary secretions, and is involved in other basic regulatory functions such as temperature control and attention. INFRATENTORIAL - Below the tentorium. INFUNDIBULUM - A stalk extending from the base of the brain to the pituitary gland. INSTRUMENTATION - Metal supports sometimes used in spinal fusions to help steady your spine while it fuses. Common types of support include plates, rods or screws. INTRATHECAL - Within a theca or the dura mater membrane that surrounds the spinal canal. INTERNAL FIXATION - The insertion of metal rods, wires, pins, screws or plates ( or a combination of these) into bone fragments. LAMINA - The portion of bone that extends from the pedicle and curves around to complete the vertebral arch on the right and left sides. LAMINECTOMY - Removal of of one or more entire lamina. Used when greater access is needed to perform a diskectomy. Helps release pressure on the nerve when a disk bulges. LAMINOTOMY - A surgical procedure where part of the lamina of a vertebra is removed for access to the disk. LIPOMA - A benign fatty tumor, usually composed of mature fat cells. LORDOSIS - Curvature of the spine with the convexity forward. LUMBAR SPINE - Lower spine, lower back; usually consists of 5 vertebrae. MAGNETIC RESONANCE IMAGING (MRI) - Diagnostic test that produces three-dimensional images of body structures using powerful magnets and computer technology rather than x-rays. MEDIAN NERVE - The nerve formed from the brachial plexus that supplies muscles in the anterior forearm and thumb, as well as, sensation of the hand. It may be compressed or trapped at the wrist in carpal tunnel syndrome. MEDULLOBLASTOMA - A tumor composed of medulloblasts which are cells which develop in the roof of the fourth ventricle (medullary velum). MENINGES - The three membranes covering the spinal cord and brain termed dura mater, arachnoid mater and pia mater. MENINGIOMA - A firm, often vascular, tumor arising from the meninges of the brain or spinal cord. MENINGITIS - An inflammation or infection of the meninges. MENINGOCELE - A protrusion of the meninges of the spinal cord through a defect in the spinal column. MENINGOENCEPHALITIS - An inflammation or infection of the brain and meninges. MENINGOENCEPHALOCELE - A protrusion of both the meninges and brain tissue through a skull defect. MRI - Magnetic Resonance Imaging - Scanning technique for views of the brain or spinal cord. No radiation is involved, but rather pulsed magnetic waves are used to delineate the structures within the brain. MYELOGRAM - An x-ray of the spinal canal following injection of a contrast material into the surrounding cerebrospinal fluid spaces. MYELOPATHY - Any functional or pathologic disturbance in the spinal cord. MYELOMENINGOCELE - A protrusion of the spinal cord and its coverings through a defect in the vertebral column. MYOPATHY - Any disease of muscle. NERVE ROOT - The end of a spinal nerve nearest its attachment to the spinal cord. NEURALGIA - A paroxysmal pain extending along the course of one or more nerves. NEURECTOMY - Excision of part of a nerve. NEURITIS - Inflammation of a nerve; may also be used to denote non-inflammatory nerve lesions of the peripheral nervous system. NEUROBLASTOMA - A tumor of sympathetic nervous system origin, found mostly in infants and children. NEUROFIBROMA - A tumor of the peripheral nerves due to an abnormal collection of fibrous and insulating cells. NEUROFIBROMATOSIS - A familial condition characterized by developmental changes in the nervous system, muscles and skin, marked by numerous tumors affecting these organ system. NEUROLYSIS - Removal of scar or reactive tissue from a nerve or nerve root. NEUROMA - A tumor or new growth largely made up of nerve fibers and connective tissue. NEUROPATHY - Any functional or pathologic disturbance in the peripheral nervous system. Localized secondary to lesion or generalized secondary to medical disorder. NEUROTRANSMITTER - A chemical substance that carries impulses from one nerve to another. NUCLEUS - The soft center of a spinal disk. OCCIPUT - The back part of the head. OLIGODENDROGLIA - Non-nerve cells, (see glia) forming part of the supporting structure of the central nervous system. OLIGODENDROGLIOMA - A growth of new cells derived from the oligodendroglia. OSTEOMA - A benign tumor of bone. OSTEOMYELITIS - Inflammation of bone due to infection, which may be localized or generalized. OSTEOPHYTECTOMY - Surgical removal of osteophytes (bony outgrowths). Osteophytes may develop on the upper and/or lower edges of the vertebral bodies, often causing pressure on the spinal cord. PALLIDOTOMY - Irreversible surgical destruction of a small portion of the global pallidus located deep in the brain. It may improve the symptoms of rigidity, bradykinesia and drug-induced side effects. PAPILLEDEMA - Swelling of the optic nerve head, can be seen in the back of the retina during eye examination. PARAPLEGIA - Paralysis of the lower part of the body including the legs. PARESTHESIA - Numbness, tingling, or a "pins and needles" feeling. PARKINSON'S DISEASE - A progressive, degenerative movement disorder with an asymmetric rest tremor with a "pill rolling" appearance. Usually starts in an upper extremity and may progress to affect another extremity. Its four major symptoms are 1) tremor, 2) rigidity, 3)bradykinesia and 4) postural instability. This disease affects an area of the brain called the substantia nigra where production of the chemical Dopamine occurs. PARS INTER-ARTICULARIS - The area between the upper and lower articulating (joining) facets of two vertebrae. PEDICLE - One of the two short stems of bone that project outward from the body of each vertebra. PITUITARY - The gland at base of the brain which secretes hormones into the blood stream. Those hormones then regulate other glands including the thyroid, adrenals and gonads. The "Master Gland". POLYNEURITIS - Inflammation of two or more nerves simultaneously. POSTERIOR FOSSA - A hollow depression in the back of the skull in which the cerebellum and several other structures are located. POSTURAL INSTABILITY - Impaired balance or coordination. POSTURAL TREMOR - Rhythmic movement that occurs while voluntarily maintaining an anti- gravity position such as holding the arms in an outstretched position in front of the body. PSEUDOMENINGOCELE - A collection of cerebrospinal fluid. Due to dural leak after spine surgery, not a congenital disorder. PSEUDOTUMOR CEREBRI - Raised intracranial pressure, usually causing only headache and papilledema. No clear underlying structural abnormality. QUADRIPLEGIA - Paralysis of all four limbs. RADICULITIS - Inflammation of the spinal nerve roots. Accompanied by pain and hyperesthesia. RADIOTHERAPY - Treatment of a lesion with radiation. REFLEX SYMPATHETIC DYSTROPHY - A condition characterized by burning pain, abnormal sensitivity to sensory stimuli, poor circulation and changes in the skin, muscle, bone, and joints. REST TREMOR - Rhythmic movement that occurs when the body part is supported against gravity, such as a hand resting in one's lap. RIGIDITY - Stiffness of the limbs and joints that makes initiation of movement difficult. SCIATIC NERVE - The largest nerve in the body. It extends from the sacral plexus, emerges from the pelvis and travels deep within the buttocks. It then descends down the back of the thigh to the back of the knee at which point it divides into the common peroneal and tibial nerves. The sciatic nerve supplies sensation to the back of the thigh, outer side of the leg, and essentially the whole foot. SHUNT - A tube which diverts body fluid from one body cavity or vessel to another. SPINAL FUSION - Operative method of strengthening and limiting motion of the spinal column. Can be performed with a variety of metal instruments and bone grafts, or bone grafts alone. SPINAL INSTABILITY - Damage to a disc or tearing of the ligament holding the spine, which causes the spine to be unable to carry out its supporting function. SPINAL TAP - Diagnostic test where a sample of cerebrospinal fluid is "tapped" from an area just below the end of the spinal cord through a thin needle inserted into the spinal canal. Used to detect blood in the CSF. SPINOUS PROCESS - A bony prominence projecting backward from a vertebra that can be felt under the skin on one's back. SPONDYLOLISTHESIS - Forward displacement or slippage (subluxation) of one vertebra over another. SPONDYLOSIS - Degenerative bone changes in the spine usually most marked at the vertebral joints with bony spur formation. STENOSIS - Narrowing of the openings of the foramen and/or the spinal canal. STEREOTACTIC SURGERY - Surgical technique whereby the exact target (i.e. tumor,lesion,AVM) is calculated three- dimensionally utilizing CT or MRI and computer. From stereo (3D) and tactic (touch). SUBARACHNOID - Located under the arachnoid membrane and above the pia mater. SUBDURAL - Located below the dura mater and above the arachnoid meninges. SUBSTANTIA NIGRA - Literally means "black substance." The part of the brain where Parkinson's disease originates. In this area, neurons degenerate and die, depriving the brain of the chemical dopamine. SUBTHALAMUS - A component of the brain's basal ganglia, working with the thalamus and other areas of the brain to control movement. SUPRASCAPULAR NERVE - The nerve which originates from the superior trunk of the brachial plexus. Supplies the shoulder joint and deep shoulder structures. SUPRATENTORIAL - Located above the tentorium. SYRINGOMYELIA (SYRINX) - A fluid-filled cavity in the spinal cord. TENTORIUM - A fold of one of the meninges, the dura mater, that separates the cerebrum from the cerebellum. It runs horizontally under the back portion of the cerebrum, separating it from the cerebellum below. THALAMOTOMY - A surgical procedure in which part of the brain's relay center is destroyed. This procedure may improve the tremors. THALAMUS - The brain's message relay center about the size of a walnut that is deep within the brain. The left thalamus controls movement on the right side of the body, and the right thalamus controls movement on the left side. THROMBUS - A blood clot attached to the wall of an artery. TORTICOLLIS - The spasmodic contraction of neck muscles drawing the head to one side with the chin pointing to the other side. TRANSSPHENOIDAL APPROACH - Operative method of reaching the pituitary gland or skull base traversing the nose and sinuses. TRANSVERSE PROCESS - The wing of bone on either side of each vertebral arch where the pedicle meets the lamina. TREMOR - A rhythmic, shaking movement of the body produced by involuntary muscle contraction and relaxation. It may occur in any part of the body but most often in the limbs, head, or voice. TRIGEMINAL NERVE - The fifth cranial nerve and the largest. It is mainly sensory except for a small motor branch that supplies the muscles for chewing. The branches of the trigeminal nerve provide sensation to the eye and forehead, midface, and upper and lower jaw. VASOSPASM - A state of spasm tightening and narrowing of blood vessels around a brain aneurysm which are irritated by the blood from cerebral hemorrhage. The body's own attempt to prevent a second hemorrhage by restricting the flow of blood around the aneurysm. VENTRICLE - The cavities or chambers within the brain which contain the cerebrospinal fluid. There are two lateral ventricles and midline third and fourth ventricles. VENTRICULO - ATRIAL - Describing a CSF shunt from one of the ventricles in the brain to the right atrium of the heart. VENTRICULOGRAM - An x-ray study of the ventricles. VENTRICULOMEGALY - Enlarged cerebral ventricles. See also HYDROCEPHALUS. VENTRICULO-PERITONEAL - Describing a CSF shunt from one of the ventricles of the brain to the peritoneal cavity in the abdomen. VERMIS - The middle part of the cerebellum between the two hemispheres. VERTEBRA - Any of the thirty-three bones of the spinal column. VERTIGO - An abnormal sensation of rotation or movement of one's self, or the environment.